Some senators have called for the FBI to investigate an accusation of sexual assault against Judge Brett Kavanaugh. Getting that to happen is not straightforward, though. Specifically, Collins told a Maine radio station that she believes in the Senate's responsibility to vet nominees for high office. If it needs more support, it should have it, she said. "If we need additional help from the FBI, we could ask for it — the committee could ask for [it]," she said. Collins is an important player because she and a handful of other borderline senators could make the difference in the final vote on Kavanaugh in the Senate. But she doesn't belong to the Judiciary Committee. Even if she did, it doesn't have the authority to give an assignment to an executive branch agency such as the FBI. How might that have to work? Then-Senate Judiciary Committee Chairman Joe Biden, D-Del., asked then-President George H.W. Bush to involve the FBI in looking into Hill's accusations. Bush — a Republican who had nominated Thomas and wanted to confirm him — agreed. The FBI went to work questioning Hill and others, and ultimately the Judiciary Committee convened hearings at which she and Thomas appeared. What has the FBI done so far? The FBI conducted a background check on Kavanaugh as part of the White House's review process of vetting him for the Supreme Court. Over the course of his career in the federal government, he's undergone a total of six background checks. In July, Ford sent a letter to the ranking member of the Judiciary Committee, Sen. Dianne Feinstein, D-Calif., in which she raised her allegations against Kavanaugh. Feinstein referred Ford's letter to the FBI on Sept. 12. The bureau then sent it to the White House to be added to Kavanaugh's background check file. White House counsel Don McGahn sent that updated file to the Judiciary committee the same day. Why did Feinstein wait so long? Why didn't any of this come up at Kavanaugh's confirmation hearing? That isn't clear. What Feinstein has said is that Ford asked her to keep the letter confidential. Then when a news report surfaced about the story, Feinstein said she decided to go public. Her colleagues and Republicans both have criticized her for the way she has handled this situation. So will Grassley ask Trump to bring the FBI back in now? Grassley says the right way to investigate Ford's case is with a hearing or an interview in which she tells her story and Kavanaugh then has the ability to respond. The Judiciary Committee reportedly also has volunteered to send investigators to Palo Alto, Calif., where Ford lives, to talk with her there outside the view of TV cameras. What does Ford's camp say? Ford's lawyer, Deborah Katz, wrote to the Judiciary Committee that Ford would be willing to testify on "terms that are fair and which ensure her safety." All the same, Ford's "strong preference," Katz wrote, is for the committee to permit a "full investigation prior to her testimony." The text of Ford's letter was obtained by NPR; it was first reported on Thursday by The New York Times. A number of Democratic senators signed a letter to Trump on Thursday asking him to direct the FBI to investigate Ford's allegation. "We urge you to reconsider your decision and ask the FBI to take appropriate action in response to the claims that have been made, so that Judge Kavanaugh's nomination can be considered by the Senate in a manner that is both consistent with past practices and fair to the parties involved and the American people," the lawmakers wrote. The letter was signed by Amy Klobuchar of Minnesota, Kamala Harris of California, Patrick Leahy of Vermont, Sheldon Whitehouse of Rhode Island, Richard Blumenthal of Connecticut, Doug Jones of Alabama, Tom Udall of New Mexico, and Catherine Cortez Masto of Nevada. The Senate Judiciary Committee, meanwhile, used a thread on Twitter to detail the steps it is taking to investigate Ford's story. What difference does it make who asks the questions? It's against the law to lie to Congress, but lying to the FBI is considered really serious. The answers that people in this case might give to FBI investigators could be suggestive in terms of what they say they remember, what they deny and what level of detail they are willing to volunteer — mindful about the potential penalty for lying. Exactly. All this is also taking place amid a thick bramble of political maneuvering. Democrats want Ford's story to carry the imprimatur of the FBI, even if, more than 30 years after the fact, investigators might not be able to do much more than take the statements of people involved. 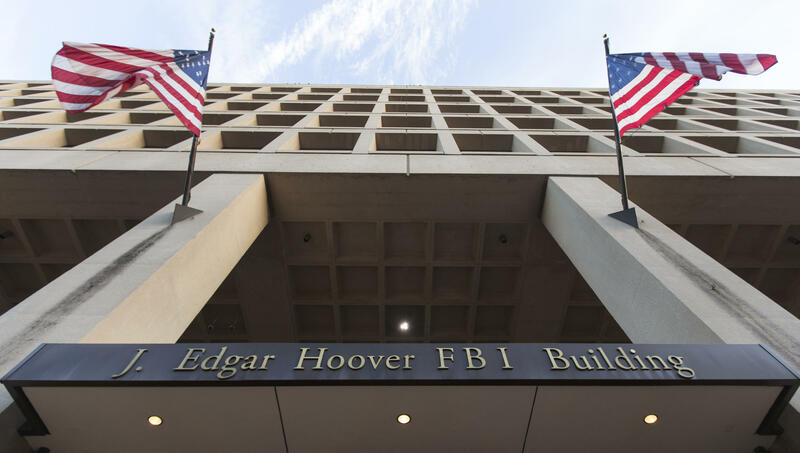 This wouldn't be a criminal investigation, as Hosko said; it's part of the FBI's responsibility to conduct background checks on people who had become eligible for sensitive positions. Or as a Justice Department statement phrased it earlier this week: "The FBI does not make any judgment about the credibility or significance of any allegation." Republicans, meanwhile, want to confirm Kavanaugh. They argue they've given every opportunity for Ford to get her story directly to the Judiciary Committee without the involvement of the FBI — either to committee staffers or to members. But Grassley says that although Ford should have the chance to tell her story, he won't wait forever. He said that Ford and her attorneys have until Friday to commit to appear at a hearing scheduled for 10 a.m. on Monday. Katz, however, said in her letter that "a hearing on Monday is not possible and the committee's insistence that it occur then is arbitrary in any event." It wasn't clear whether Grassley might postpone his hearing to give Ford more time or whether Ford might give up her chance for a public hearing if she cannot make it to the Senate on Monday. In a letter released by the White House Thursday evening, Kavanaugh informed Grassley "I will be there" for the planned hearing Monday. The judge added, "I continue to want a hearing as soon as possible, so that I can clear my name.